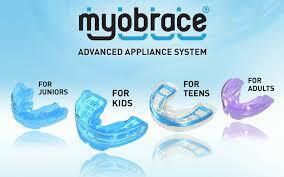 What is Myobrace and who is it suitable for? Myobrace is suited to 5-15 year olds. For those who want to straighten their teeth, we have fantastic systems to achieve great results – the Inman and Invisalign Aligner systems. The Inman Aligner is a perfect solution for crowding or protrusion of the front teeth. It is really fast, very safe and great value compared with other systems. With the patented Inman Aligner , your front teeth can be gently guided to an ideal position in a matter of weeks. Most cases usually completed within 6-18 weeks! And because it is removable, you can take it out to fit your lifestyle. Can aligners correct all crowded teeth? The Inman Aligner is designed to treat the upper and lower front teeth only. After an evaluation, we can determine if the Inman Aligner is right for your particular case and we will recommend treatment options. For more complex cases Invisalign might be a better fit as it treats the whole arch. After treatment, your dentist places an easy-clean retainer (one which can be flossed) to prevent relapse. To see if an aligner based system is suitable for you, contact us for an assessment at your next visit. 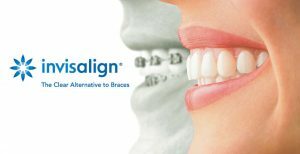 For more information visit www.inmanaligner.com or https://www.invisalign.com.au/ or ask us for a brochure.